a, alan woods, Britain, committee, Communism, communist, CPGB, fifth, fight, for, fourth, gerry healey, Great, group, img, international, internationalist, labour, league, lfi. 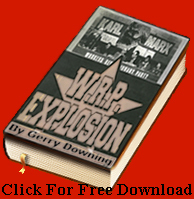 icfi, maxist, Militant, news, of, party, power, revolution, revolutionary, Sheila Torrance, sll, SOCIALIST, Socialist Labour League, socialist resistance, spgb, ted grant, the, trotsky, Trotskyism, wil, workers, wrp, youth, and, anti-capitalist, bolshevik, Britain, coalition, committee, communist, congress, cwi, democratic, dsm, east, fifth, for, fourth, GRANT, ibt, imt, initiative, internatinal, internatonal, irish, labour, league, lfi, london, marikana, Marxist, Militant, movement, NATIONAL, network, north, party, power, RCIT, revolutionary, shop, SOCIALIST, socialist party, Socialist Party of England and Wales, south, sp, spew, stewards, surrey, ted, tendancy, trades, trotskyist, tuc, tusc, union, wasp, west, workers. What are The Differences Between the RCIT and the DSM/CWI? The Mitchell Principles – a fair basis for conflict resolution or an undemocratic and pro-imperialist set of principles? Picket of the Irish Embassy, Thursday, 5th September 3.30 to 4.30: For Political Status for Irish Republican Prisoners! Implement the August 2010 Agreement in Maghaberry!